Structuring before writing or anywhere in the beginning of the process hobbles the Muse and creativity stops and progress bogs down. This can make it appear as if story structure is your enemy. But, if you apply structure at the right point in the process, story structure can be your greatest ally. Create your story world: What are all the elements you would like in your story? Don’t force creativity – just make a list of all things you want in your story – the people, events, messages, and moods you’d like to explore. If you have specific ideas for a battle, a line of dialog, a clever plot twist – anything that you want in your story – jot it down. Then, develop those ideas into the world in which your characters live an in which your plot will take place. For some tips on how to develop your story world, click here. If you answered that question, you wouldn’t answer by telling them the order in which things occur. You would tell them about all the major concepts, interesting moments, and principal characters. You would describe your story world so they get an idea of what the finished story will be like. That, is your synopsis. Create a pathway through those elements – your story’s spine or timeline, including quest, characters and plot. Your story’s timeline (often though of as your plot-line, though it also includes your character arcs and the development of your story’s message) is like a journey through the story world you created in the first step. Imagine that your story world is a map of the terrain you wish to cover in your story. Then the timeline is a journey across that terrain – the sequential order in which you visit each of the interesting concepts you’ve developed. It can be difficult to turn a list of ideas into a pathway, however, but if you run into trouble, click here for a method of generating your timeline from your story world. One you have your timeline, imagine that the person who asked what your story was about in the first step responded with, “Cool! I like it! How does it unfold? Essentially, a treatment is a description of how your story will unwind, minus any dialog unless it is absolutely essential to understanding a particular event. Once you have your treatment, add in structural story points. 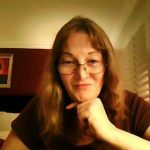 I’m not talking about building your story’s complete narrative structure – not yet. For this step, you just want to make sure all the critical structure story points are all in there, such as Goal, Requirements, thematic conflict, a main character, and whether that main character ends up changing their nature (like Scrooge) or holding on to their point of view (like James Bond). You see, structure is composed of two parts – the essential story points and the dramatics that hold them together. Every story has the same points, but it is the way they are connected to one another that creates your story’s unique narrative structure. We’ll worry bout those connections in the next step. Here, just make sure all the most important story points are in your story, and if not, put them in so they fit with what you’ve already developed. For a list of the twelve most important story points you really need, click here. Create a narrative structure for your story. To do this, you will want to look at all your story points and then determine how they hang together. This can be done by intuition and experience, but it is always a little “iffy” if you rely on that alone. That’s why we created a software program that can do it much more precisely. You can use it for free to work out the narrative structure in your story. But, the software is not the point. The point is to create a template for your story that would show you what a perfect structure would look like. Now, nobody reads a book or goes to a movie to experience a great structure. Rather, we are drawn to stories to have our passions ignited. Still, there are some essential structural components that can scuttle the best-told and most exciting story every conceived. So how can you reconcile structure with your Muse? Simple. Don’t try to make your story’s structure perfect, just better. Use your structural template as a guide – like a blueprint. Writing is a strange endeavor, as it is best done when you build the house first, and then determine the perfect blue print for it later. Then, you lay that template over your story and see where you can bring your story into better alignment with it, without destroying all the design concepts and decorations you already have in place. In the real world of story development, perfect structure is a myth. Trying to make a story structure perfect will drain the life out of it. And trying to create a structure first and then write from it will create a “paint by numbers” picture. But if you use structure only at the end (after completing your first draft is ideal), then you can hone your story as closely as possible to the most solid structure, without undermining your passionate expression. Now I said you could use our story structuring software free, and here’s how. We created a product called Dramatica, based on our concepts of narrative structure. It contains a Story Engine that uses those concepts to help you build a structure that best represents your story. The demo version is fully functional, including the Story Engine! 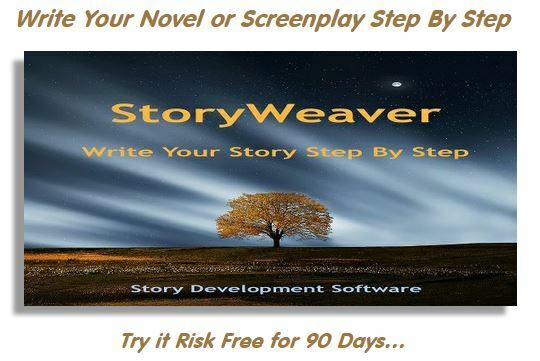 So, you can use it to structure your story and you don’t have to spend a dollar. You can download the demo version for Windows or for Mac here. 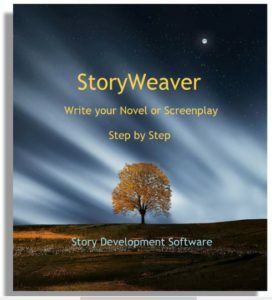 You’ll find the demo has complete instructions and even a path for beginners called the StoryGuide that will walk you through the story structuring process step by step. What it won’t tell you is how to apply that structure to your story without crushing the creativity. For that, just keep in mind – the structure that Dramatic generates should be treated as a collection of guidelines, not a list of rules. Use each story point in the structure to gain insight into your story, and then apply it if you can and as best you can to strengthen your structure. And, of course, your friendly neighborhood story coach is always available, as described below. 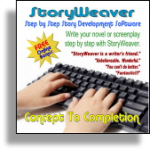 Plus, you may also with to try my other software, StoryWeaver, to help you with the creative part of the process as well.